Comfortably carry your Glow Panel LED 400 light, cables, and related accessories in this black Soft Padded Carrying Case from Porta Brace. The case is made in the USA and features a zip closure, a front accessory pocket, exterior straps for stands, and a padded interior divider. Carry the case with the top handles or wear it with the padded suede shoulder strap. 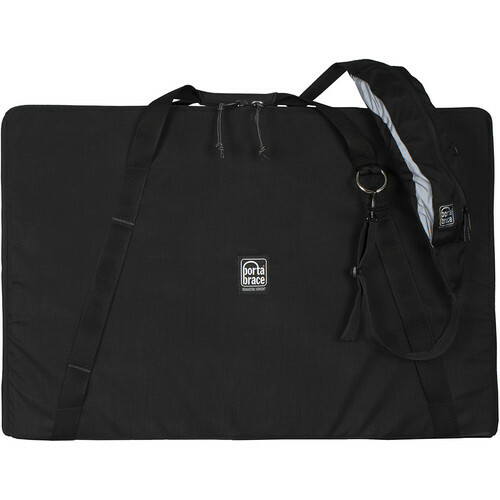 A padded semi-rigid frame and 1000D Cordura nylon construction add strength and durability.